The project “Hitchhiking” consists of making virtual hitchhiking trips without moving out of the artist’s studio. 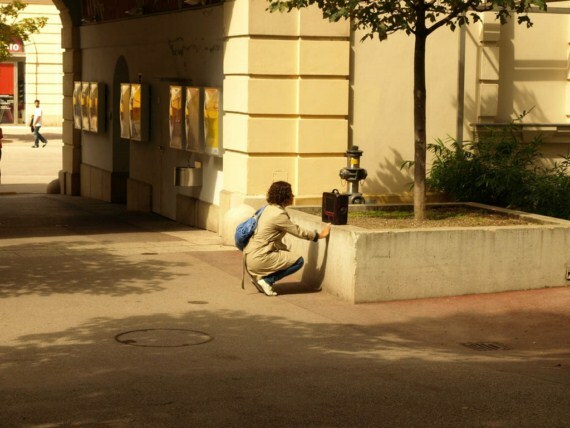 By placing a mobile computer installation in the street, connected in video conference, the artist will struggle to reach her destination with the help of passersby. This artwork explores virtual and real spaces as well as virtual interactions. It’s an adventure that includes tracing objects (GPS), a sociological experiment and new ways of using mobile Internet and videoconference.